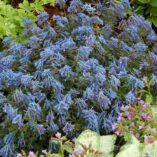 Corydalis ‘Purple Leaf’ | TERRA NOVA® Nurseries, Inc.
Up before the robins in spring, this bronzy-leafed fumitory is vigorous, rhizomatous, early blooming and long lived. 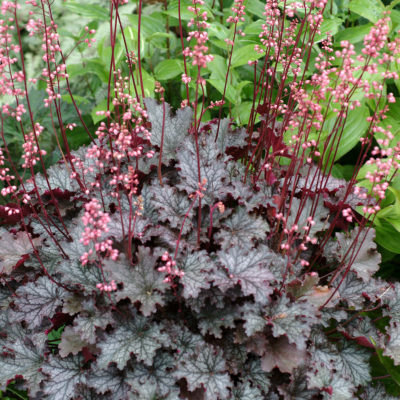 Plants are more compact than the type and are charming in the rock garden, or scrambling around stepping-stones. 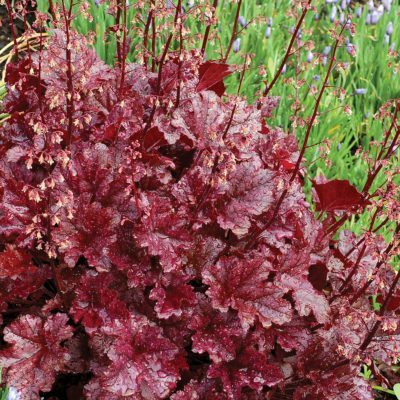 A great lacy contrast to Heuchera 'Lime Rickey'. Fragrant, violet-blue flowers abound in early spring. May go summer dormant. 8" / 24" / 10"
50 – 75 ppm, strong fertilizers can burn. 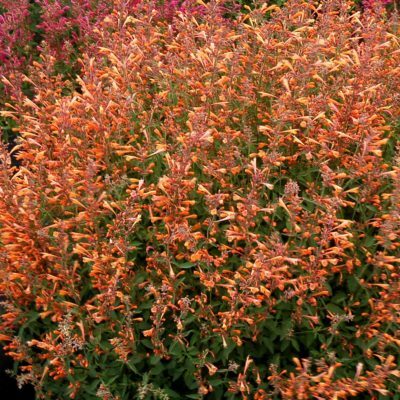 It has a low, rhizomatous growth habit which dies out in summer and come back in the fall. 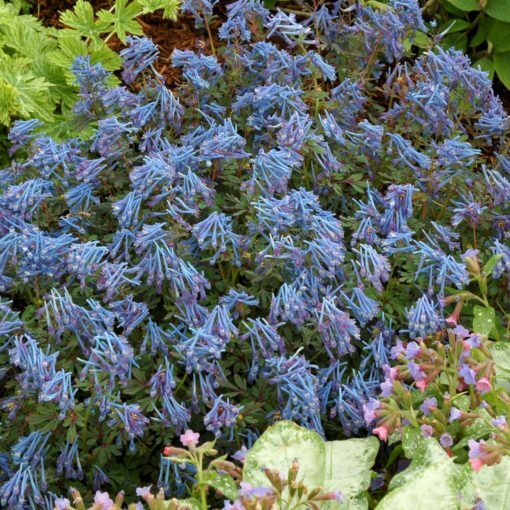 The foliage and flower color is more purple than 'China Blue' or 'Blue Panda'. It is a very long bloomer in the Pacific NW. 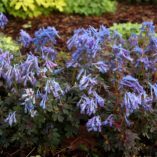 Use it in containers in part shade, forest understory, woodland areas or shady borders. Cut the Corydalis to the ground midsummer to rejuvenate it. 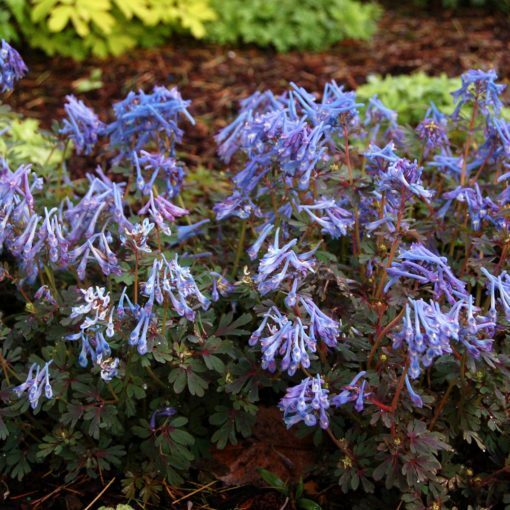 Re-blooms in the cool fall temperatures. 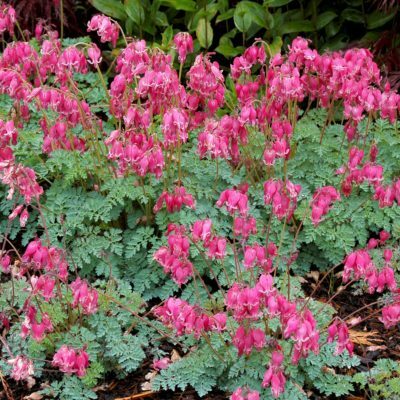 USE NO CHEMICALS ON CORYDALIS without prior experience. 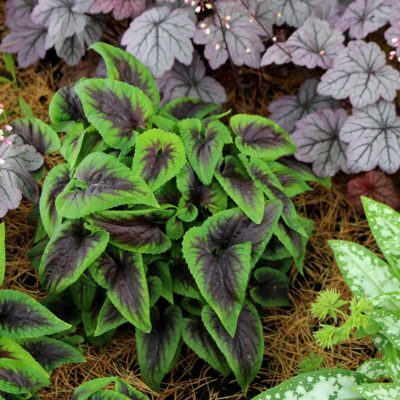 We recommend transplanting to a 4" pot from a plug, not a larger size container.